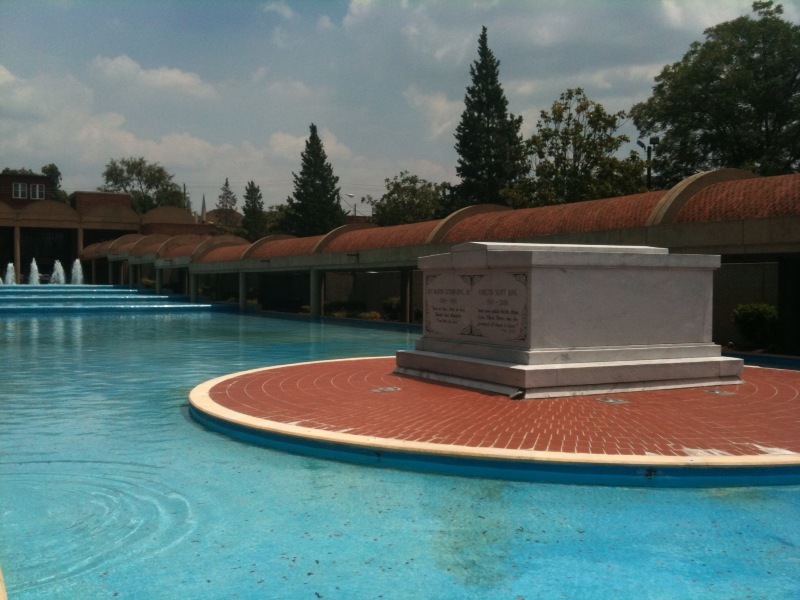 During June, on the way to Nashville for a conference, I wrote about taking my family to see the Lorraine Motel (along with the National Civil Rights Museum) where Martin Luther King Jr. was assassinated. This week, on our way home from a week on the beach in South Carolina, we are driving through Atlanta and Birmingham. 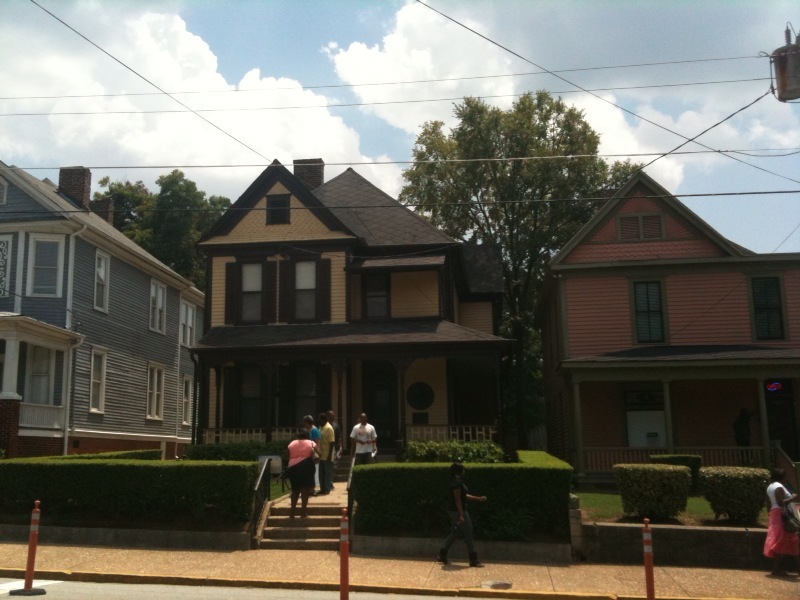 Consequently, to do a little scouting for a class, we're taking some time to check out some of the Civil Rights sites in these and surrounding cities. 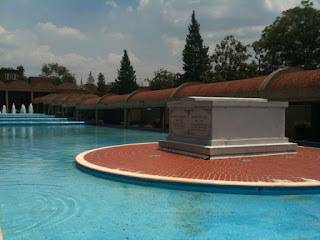 Yesterday we were in Atlanta to visit The King Center. There are a couple of things to see at The King Center. 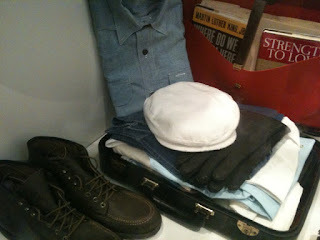 First, the National Park Service has a facility where there is a exhibit documenting the life and achievements of MLK. Outside the building there is a wonderful mural that takes you through his life. 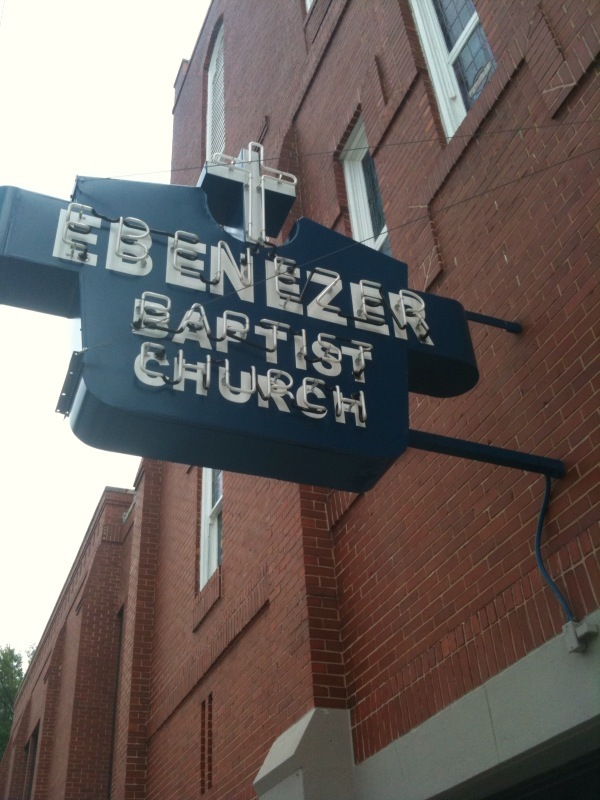 Around the corner is historic Ebeneser Baptist Church, the church MLK preached at after his move to Atlanta. The church was closed for renovations. They are trying to restore it to circa 1960s. Inside The King Center you can see a variety of personal artifacts once belonging to MLK. We saw his bible, some of his books about Gandhi, his Nobel Peace Prize medals, his vestments, parts of his traveling kit. I was particularly struck by this display of his jail cloths. As a Southern Baptist preacher in the 50s and 60s, MLK generally wore a suit and tie. But when he went to jail he would switch over to denim. It was likely more conformable and allowed him to fit in better with those he was incarcerated with. The reason I like this whole notion of having "jail cloths" with you is how it vividly illustrates the conflict with the Powers. Of course, Christians have jail cloths. As Jesus said, if you follow him you'll get arrested by Caesar just as he was. It's the inevitable outcome of the conflict between the Kingdom of God and the Empire. 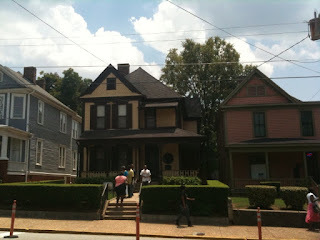 At The King Center you can also visit MLK's birthplace, just around the corner from Ebeneser where his father preached. One of the interesting things about The King Center is how much attention is given to Gandhi's influence. A bronze statue of Gandhi greats visitors as they enter the grounds from the main parking lot. There is also a Gandhi room beside the room where we viewed the MLK artifacts. The presence of Gandhi prompted two interesting conversations with my boys. First, they wanted to know why Gandhi was everywhere. Wasn't this supposed to be a place about Martin Luther King Jr.? So we talked a bit about non-violence and how MLK used Gandhi's techniques during the Civil Rights struggle. The second question had to do with the charkha. Wherever we saw Gandhi depicted he was spinning on his wheel. My boys asked, what's up with that wheel? I went on to discuss how Gandhi came to realize that India could not gain independence as long her people were economically reliant upon the British. How can you protest if you are fearful of losing your job? Thus, some measure of economic independence was critical to get Gandhi's movement off the ground. 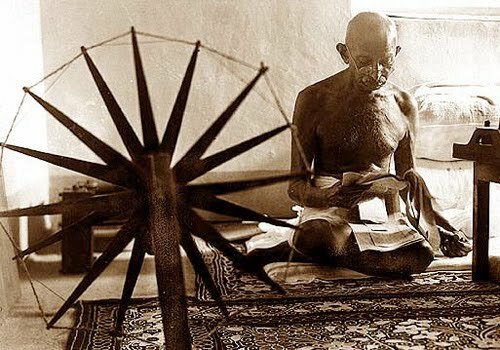 One means Gandhi devised to achieve this goal was to get Indians to use the charkha to make their own "home spun" fabrics. By making and buying only "home spun" Indians achieved multiple ends: Economic independence, a boycott on English textile imports, national solidarity, and the increased self-esteem that comes from self-determination. But most importantly for Gandhi, the charkha became a symbol, a rallying cry. One could argue that what ultimately did the British in was the sound of thousands and thousands of clicking wheels spinning in the Indian countryside. The point I made for my boys is that oppression always has an economic face, if not being the dominant engine of oppression. This is what MLK came to realize toward the end of his life. After seeing all the significant Civil Rights legislation passed King began to focus on chronic poverty. For a time he lived in a Chicago slum. At the time of his death we was planning the Poor People's Campaign. And he was shot in Memphis helping sanitation workers achieve a 10 cent raise. Time to check out of the hotel! Off to Birmingham. Stay tuned. These kinds of courses, with the requisite "field trip(s)," are usually offered under the aegis of US History or African American Studies. A team-teaching environment, with scholars of many disciplines as you suggest, could be most useful. Even more useful could be the testimony of people, both black and white, who "were there," on the ground, and "part of it," when it was happening. When those folk are now "reconciled," to one another and to God, that is most useful. When they are not, it is instructive to understand why. Richard, I am also interested in the Civil Rights Movement and just finished a terrific book that might be a good read for your students. 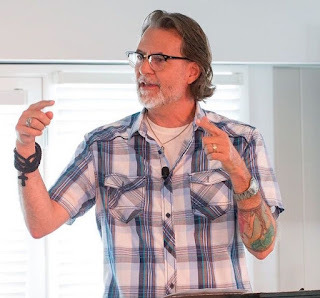 It is Freedom Summer by Bruce Watson. 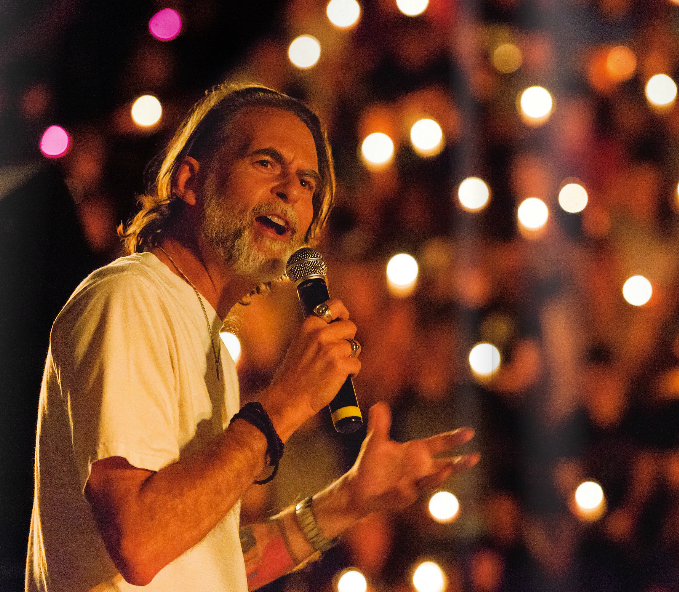 It relates the stories of the young college students who took the summer to change the world. I read it on my Kindle and could hardly put it down to eat, sleep and work. I've not read it, but just checked it out on Amazon. Looks very good. Thanks for the heads up! I am glad you are checking it out. I found as an educator that even my African American students thought the Civil Rights story was only about Rosa Parks and MLK, jr. This book tells the story of heroes of the movement who were the exact same age as your students. I hope that today's young adults see themselves as able to take bold action and even risk their lives for a righteous cause. I hate to be a grumpy old woman who despairs of today's young people. I am glad that there are educators like yourself. I appreciate your efforts to help your students understand what for them is distant history. And, I am making a list of places to visit.